We offer great audio & sound equipment rentals in Houston,TX. We can offer audio for any audience size. We have several different types of microphones, speakers, mixing boards, and laptop audio. We offer same day service. Shure Lavalier Wireless- This microphone is a small clip-on mic which is great for moving around and speaking at the same time. Shure Handheld Wireless- This mic is great for several speakers or vocalists. Shure Wired SM- This mic is great if attached to a podium with mic stand. Audio Technica Wireless Combo pack (Lavalier and Handheld)- This combination will allow two presenters to speak at the same time. Sound systems are a huge impact on getting your message across to your audience. Please let us know what your goals are for your event. JBL Powered Speakers(Upper Level)- These speakers are suitable for 200 guests or more. Behringer Powered Speakers (Mid Level) These speakers are suitable for 75 guests or more. Phonic Powered Speakers (Entry Level) These speakers are suitable for 75 guests or less. Phonic non-powered speakers (Entry Level) These speakers are suitable for 30 guests or less. 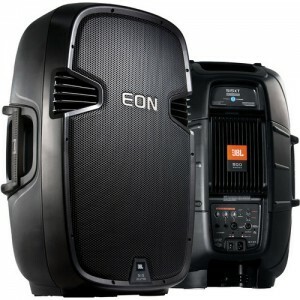 Package One: Includes two 400 watt powered speakers, two stands, mixer, and wireless microphone (Handheld, Lapel). Package Two: Includes two 500 watt powered speakers, two stands, mixer, and two wireless microphones (Handheld, Lapel). Other types of Audio Equipment Rentals include Amps, Recording equipment, and DJ equipment.